Hammer Horror was a subject that I touched upon in the Horror Crossover Encyclopedia, but not as fully as I had wished. The book was starting to get too big and I had been working on it for years and it was time to make sacrifices to finish it. Here is a sampling of Hammer Horror covered in the Horror Crossover Encyclopedia. Hammer Horror is one of the subjects that will be expanded upon when I eventually get to writing the second volume of the Horror Crossover Encyclopedia, which I've already started researching for. When I was little, my parents didn’t let me watch R rated movies. 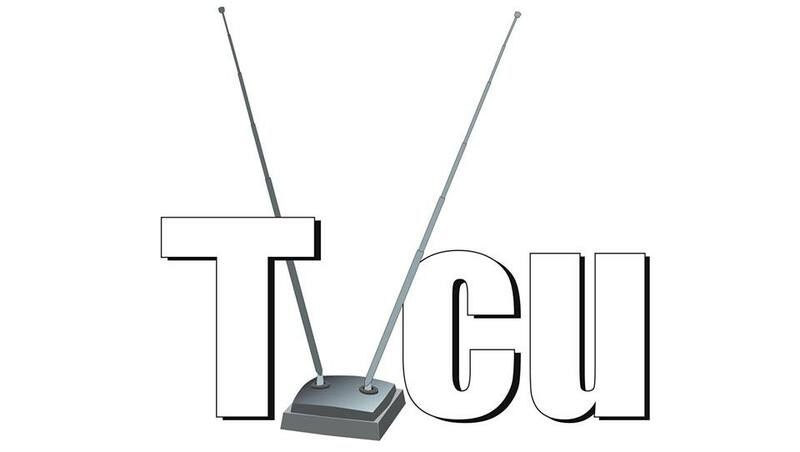 But I was allowed to watch anything that was on any of the six channels our television received. So I got to see older films and edited for television films. I fondly remember on Saturdays watching the Creature Double Feature, which showed old Universal, Hammer, Godzilla and B-1950s sci-fi monster films. I was very interested in scary stories, particularly with a supernatural element. Of all the monsters, vampires were my favorite, and I even admired Dracula’s character. c. 1811 to 1886--LISZTOMANIA--Wagner is a Hammer-esque vampire who lives in a secluded castle when Liszt is tasked with exorcising him. The Story: The undead Count Dracula, known in life as the 15th century Prince Vlad, the Impaler, lives in Transylvania, but comes to London with grand plans never truly stated, but with a side goal of taking young Jonathan Harker’s fiancee Mina Murray as his bride since she seems to be the reincarnation of his former bride from his living years. Professor Abraham Van Helsing comes to the aid of the young couple and helps to slay the vampire and his minions. 1895--HORROR OF DRACULA--Jonathan Harker begets the ire of Count Dracula after he accepts a job at the vampire's castle under false pretenses. The Hammer Dracula is not the real Dracula, aka Dracula prime. He is but one of the soul clones. See the MONSTAAH website for more information on the alleged truth behind the films. 1896--THE BRIDES OF DRACULA--Vampire hunter Van Helsing returns to Transylvania to destroy handsome bloodsucker Baron Meinster, who has designs on beautiful young schoolteacher Marianne. Note the dates used for the Hammer films are taken from the MONSTAAH website, given by Chuck Loridans and Chris Nigro. 1905--DRACULA: PRINCE OF DARKNESS--Dracula is resurrected, preying on four unsuspecting visitors to his castle. 1906--DRACULA HAS RISEN FROM THE GRAVE--When his castle is exorcised, Dracula plots his revenge against the Monsignor who performed the rites by attempting to make the holy man's young niece his bride. 1908--TASTE THE BLOOD OF DRACULA--Three middle-aged distinguished gentlemen are searching for some excitement in their boring bourgeois lives and get in contact with one of Count Dracula's servants, Lord Courtley. In a nightly ceremony, they restore the count to life. However, the three men killed Courtley and, in revenge, the count ensures that the gentlemen are killed one by one by their own children. 1909--SCARS OF DRACULA--A young man, Paul Carlson, is on a trip and spends the night at count Dracula's castle. Needless to say, he is murdered. After some time has passed, the young man's brother Simon comes to the small town where all the traces end to look for him. The Story: A german sub crew discovers the original Frankenstein creature in the Arctic, and employs its own mad scientist to duplicate the process to create an army for them to conquer the world (of course.) However, Dr. Dye (really, that’s his name) needs the original notebooks from Frankenstein’s castle. Meanwhile, an American (of course) pilot and a british occultist (of course) race to the castle to destroy the notes before Dye can get his hands on them. Notes: One could look at this book as extremely problematic or extremely fun. 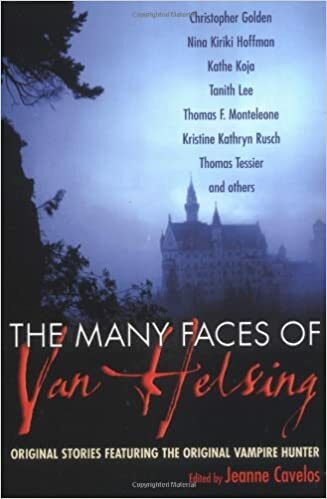 This book places the novels, the Universal films, the Hammer films, and the rip-off Nosferatu all in the same canon, despite them being very different versions of the same characters. But as you’ve seen if you’ve read these in order, I was up to the challenge. Of course, they include the novels via the original version of Frankenstein. But then they go and throw in an appearance of Visaria, the location of many of the Universal films. Meanwhile, British Intelligence is using the Chateau Meinster as their headquarters, which is from the Hammer film Brides of Dracula. And then Nosferatu is thrown in for good measure with a quick appearance. This graphic novel had a sequel, titled The Black Forest 2: Castle of Shadows, which seems to be crossover free, involving an army of apes this time around. Damn dirty apes. 1970--DRACULA A.D. 1972--Johnny Alucard raises Count Dracula from the dead in London in 1972. The Count goes after the descendants of Van Helsing. 1971--THE SATANIC RITES OF DRACULA--In London in the 1970s, Scotland Yard police investigators think they have uncovered a case of vampirism. They call in an expert vampire researcher named Van Helsing (a descendant of the great vampire-hunter himself, no less) to help them put a stop to these hideous crimes. It becomes apparent that the culprit is Count Dracula himself, disguised as a reclusive property developer, but secretly plotting to unleash a fatal virus upon the world. The Story: The monster finds his way to Dracula’s castle, where the vampire is revived and again renews his original London plans. Dr. Burt Winslow teams with Arnold Van Helsing to stop him. Notes: This is the fourth of Glut’s New Adventures of Frankenstein. This is Glut’s version of Frankenstein, which he purports to be the original. I usually presume that Glut’s Dracula is the original, but not for this story, originally written in the 1970s. This Dracula is modelled after Christopher Lee, has never met the monster before, and wakes wanting to reenact the events of the Stoker novel. Lee played the Hammer horror soul clone Denrom and soul clones often wake to want to head to London. And Glut even thanks Lee in the start of the book. Thus I have to conclude that the Dracula of this book is the Denrom soul clone. The Van Helsing here is yet another of the many members of the famous vampire hunting family. Glut again uses the Ruthvenian, the vampire bible implied to have been written by Lord Ruthven from the Vampyre. The Necronomicon also appears, which of course originated in H.P. Lovecraft’s The Hound and has become one of the most often used references to Lovecraftian lore. September 2004--THE VENTURE BROS.--"Eeney, Meeney, Miney... Magic!"--Dr. Orpheus' appearance is modeled after Christopher Lee's version of Dracula. The Story: A mad scientist revives Dracula, as no sane one would I suppose. He then takes Dracula to Castle Frankenstein so that Dracula can get his revenge against the Monster. Notes: Nathan Kane also appears, who is related to Elliot Kane from Glut’s Doctor Spektor comic book series. The previous Frankenstein/Dracula battle in this New Adventures series establishes that this Dracula is Denrom, from the Hammer films. See my notes in that entry. The Story: Larry Talbot works with Jessica Van Helsing to stop Dracula from once again trying to revive Frankenstein’s monster. Notes: This is the original Larry Talbot of the Universal Wolf Man series of films, having been revived in Return of the Wolf Man. Likewise, this is the Dracula of the Universal series, who I’ve identified to actually be Armand Tesla, who was transformed into a soul clone by the real Count Dracula of Bram Stoker’s novel. 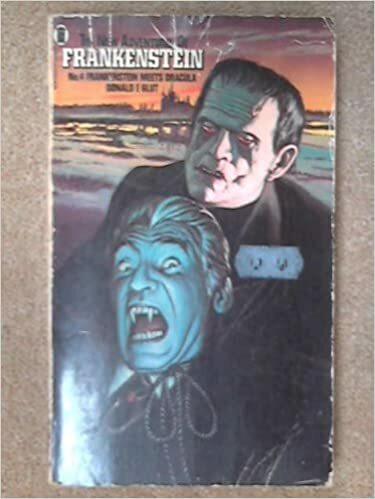 Likewise, this isn’t Victor Frankenstein’s creature from Mary Shelley's novel, but rather Henry Frankenstein’s creature from the Universal series, with Igor’s brain, and having recently also revived in Return of the Wolf Man. Jessica Van Helsing is of the famous monster hunting family, and was previously seen in Hammer’s Dracula A.D. 1972 and the Satanic Rites of Dracula. The Hammer Dracula series also has a cross with the Black Forest. Thus this cross confirms that the Hammer Dracula films are in the Horror Universe, and that Dracula must be yet another soul clone. Perhaps the alias he uses of Denrom in those films is a hint of his real name. 2008--DON'T WAKE THE DEAD--Vincent mentions having fought seven Golden Vampires in China. Note that not all Hammer Horror is connected to the Horror Universe via crossover links. For instance, Hammer's Frankenstein and Mummy series are not in the Horror Universe. However, some other Hammer did make it into the Horror Universe, such as the Reptile. But the Reptile only had one crossover link, so while it is in the book, it's not enough to fill a blog post of its own. For other versions of Dracula that exist in the Horror Universe, see DRACULA (UNIVERSAL) and NOSFERATU. And for more vampires, see Angel, Barnabas Collins, and Countess Dracula.